Evo & Grace: The WanderLusts: Chud Festejo’s Nanay Tatay is PhilPop 2018 winner. Chud Festejo’s Nanay Tatay is PhilPop 2018 winner. 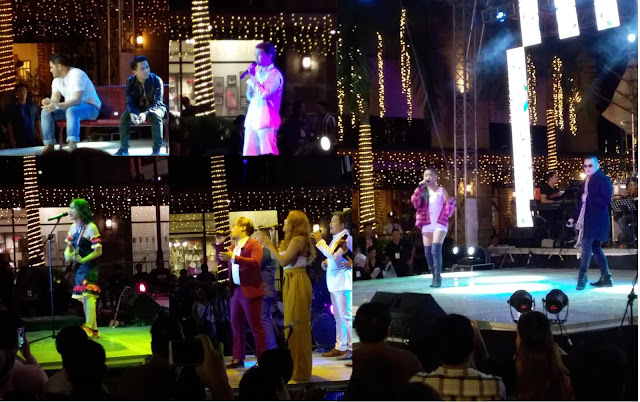 Finals Night was held at Estancia Capitol Commons Mandaluyong. Ten finalists battled it out for the First, Second and Third Place respectively. From a number of submitted songs, a pre-judging was held at the BGC Theatre and from the pool of 30, ten finalists were chosen to compete for the Grand Prize. At the end of the evening of December 2, Chud Festejo’s Nanay Tatay emerged victorious. He was actually not expecting to win but he is really glad that he won the top Prize, Nanay Tatay is a song that talks about Innocence and Vulnerability. Aside from that, the music Video of Nanay Tatay, it was also a winner for the special awards category. Chud went home with one million pesos as the Champion. Ferdinand Aragon’s Visayan entry entitled “Di Ko Man” was declared first runner up. Aragon says that the song is actually a visayan Harana, for winning the first runner up he goes home with a prize of Php500,000.00 pesos. Jek Buenafe’s Ako Ako got the 2nd place, it was interpreted by his band Feel Day featuring Hans Dimayuga.They take home Php200,000.00 as prize. The roster of judges included Mr. Verb Del Rosario, Vice President for Viva South; Ms. Trina Belamide, artist and veteran composer; Ms. Liza Diño-Seguerra, Chairperson of the Film Development Council of the Philippines; Mr. Randy Estrellado, COO of Maynilad; Mr. Noel Cabangon, PhilPop Board Member; Mr. Paolo Guico, Vocalist of Ben & Ben; and Mr. Ryan Cayabyab, PhilPop Music Festival 2018 Chairman. PhilPop is on its 7th year of an unending legacy of enriching OPM. Moving forward, aspiring songwriters can continue making their dreams come true with PhilPop, as they are still up for greater actions in the years to come. “Definitely, the Songwriting Boot Camp will push through in 2019 that will prepare us for the big 2020 music festival again. It’s gonna be every two years,” PhilPop Executive Director Dinah Remolacio assures. PhilPop 2018 is an initiative of the PhilPop Music Foundation, chaired by Mr. Manny V. Pangilinan. PhilPop is co-presented by MAYNILAD, and is supported by MERALCO (major sponsor), Mid Atlantic Foundation for Asian Artists, Inc., NYXSYS (official OOH partner), SMART, VIVA Records (official record label partner), Ortigas and Co., PETA (production partner), Coke Studio, NCCA, OPM, TAGA-ALOG, Rappler (official media partner), Pinnacle (official agency integrator partner), and Gabi Na Naman Productions (official promo partner). Cheers to OPM! Text and Photos by Antz Cabrera. The notes we have on Manila Notes.